You'll have the coolest ninja accessory for your ninja costume this Halloween with these 2 in 1 Hidden Ninja Knives. The ninja knives set includes 2 plastic knoves measuring 14.75" incheas each that come together to create one discreet weapon. 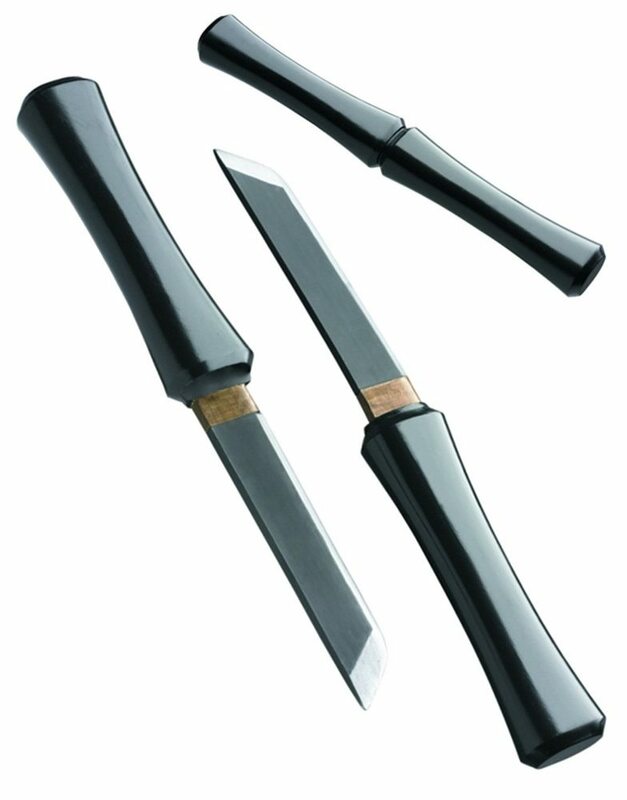 Perfect for Halloween, these knives are also great for theatrical plays and ninja themed parties and events.